Chilli rating - 2. Proud to be no.1 Indian snack brand. Suitable for vegetarians. 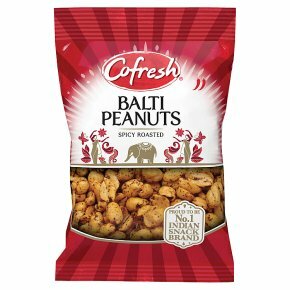 The Cofresh family brings you their Balti Peanuts which are delicious & made from the finest quality ingredients.